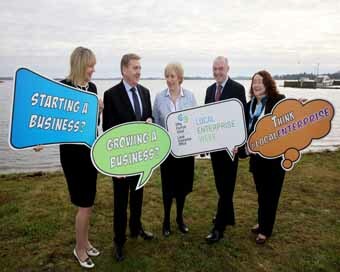 Over 300 events have been planned to celebrate ‘Local Enterprise Week’. From helping small businesses spot ‘mega’ trends to assisting start-ups to close more sales, the 31 Local Enterprise Offices (LEOs) are teaming up to run hundreds of events across the country from 4th to 9th March. In addition to one-to-one business clinics, start your own business bootcamps, finance workshops, trading on-line seminars, data protection briefings and Brexit-themed workshops, the LEOs will also be marking International Women’s Day with a series of networking events for female entrepreneurs during the week. Local finals for the National Enterprise Awards and Student Enterprise Programme will also be held in several parts of the country.